Saint John, NB (August 1, 2018) – An alliance of six business associations representing more than 4,000 businesses in New Brunswick today launched an awareness website prior to the New Brunswick election campaign. Saint John, NB (July 25, 2018) - Employees and employers across New Brunswick are extremely concerned about WorkSafeNB and the unsustainability of the current state of the workers compensation system. The system is clearly broken, and legislative reform is immediately required to fix it. Truro, NS (May 29, 2018) – The Atlantic Chamber of Commerce (ACC) announced today it’s board of directors for 2018-2019 where Andy Lodge was sworn in as ACC new board chair during the 122nd annual general meeting held in Truro. Andy, a well-known lawyer and businessman serving clients in Atlantic Canada is now a consultant with Investors Group Financial Services based in Saint John, New Brunswick. Windsor, NS (May 23, 2018) – The Atlantic Chamber of Commerce (ACC) announced today that the Truro & Colchester Chamber of Commerce will host ACC’s 122nd Annual General Meeting and Professional Development (PD) Day on May 28-29 at the Holiday Inn Prince Street in Truro. Ottawa, ON (May 23, 2018) –Today, business, Indigenous and labour leaders from across Canada joined Canadian Chamber President and CEO Hon. Perrin Beatty in demonstrating to government that they have the support required to ensure the Kinder Morgan Trans Mountain Expansion project gets built. ​Windsor, NS (April 20, 2018) The Atlantic Chamber of Commerce released the following release in support of the bi-lateral infrastructure agreements in NB and NS. Copies were also sent to the four Premier’s, Scott Brison, and Amarjeet Sohi, Minister of Infrastructure Canada. Windsor, NS (March 21, 2018) The Atlantic Chamber of Commerce (ACC) is giving a positive assessment of the 2018-2019 provincial budget. Nova Scotia has made significant progress in stabilizing its fiscal situation and if their forecasts pan out the province will table seven consecutive balanced budgets. Moncton, NB (March 19, 2018) – An alliance of six business associations representing over 4,000 businesses in New Brunswick today announced its pre-election platform, We Choose Growth. The group is asking each of the provincial parties to commit to actions that support five priority areas of growth in their election platforms. Windsor, NS (March 15, 2018) The Nova Scotia members of the Atlantic Chamber of Commerce have expressed their objection to the piecemeal and negative approach proposed by the provincial government in granting economic development powers to a single municipal entity.​A letter sent the Premier and Minister of Municipal Affairs, outlines the chambers’ concerns that such an approach will instigate a situation where municipalities across the province vie for competitive advantage by according targeted tax breaks and short-term business subsidies. Windsor, NS (February 05, 2018) - A strong and prosperous Canada depends on business growth, but businesses are grappling with daunting challenges at home and abroad. To help them compete and grow, the Canadian Chamber of Commerce and the Atlantic Chamber of Commerce (ACC) released 10 Ways to Build a Canada that Wins today. 10 Ways provides businesses, decision-makers and government with a series of clear priorities and objectives that, if addressed, will give Canada a competitive edge, improve productivity and grow our economy. 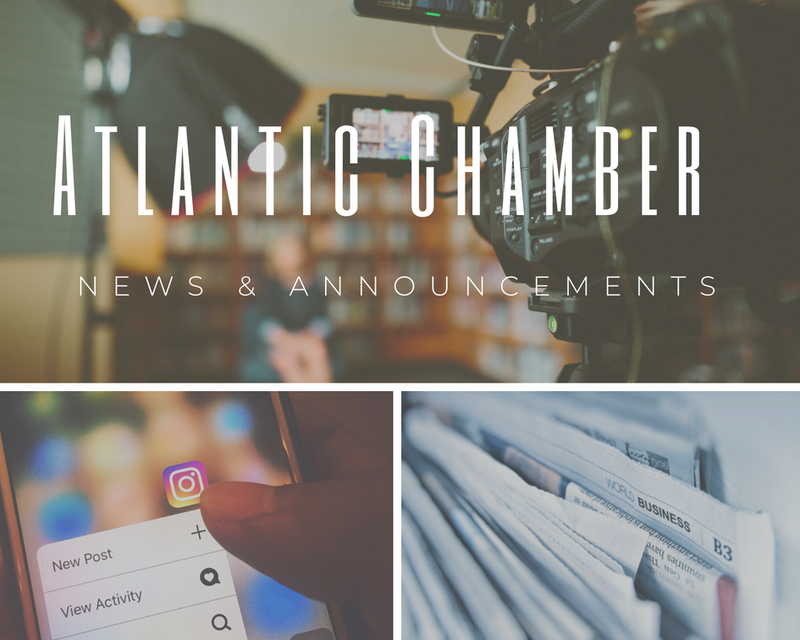 Windsor, NS (January 30, 2018) – The Atlantic Chamber of Commerce recognizes today’s budget contains several positive announcements that warrant acknowledgement. Commitments to invest in improving education and job opportunities for our youth are important steps in improving our workforce and youth retention. A significant and appropriate measure is the government’s commitment to ease the burden on low-income families by committing to provide subsidized childcare spaces for students and the working poor.